It has been a while since my last analysis on Bitcoin. It seems like BTUSD might be getting ready for new highs. I have been looking a new opportunity and the market might have just given us one. 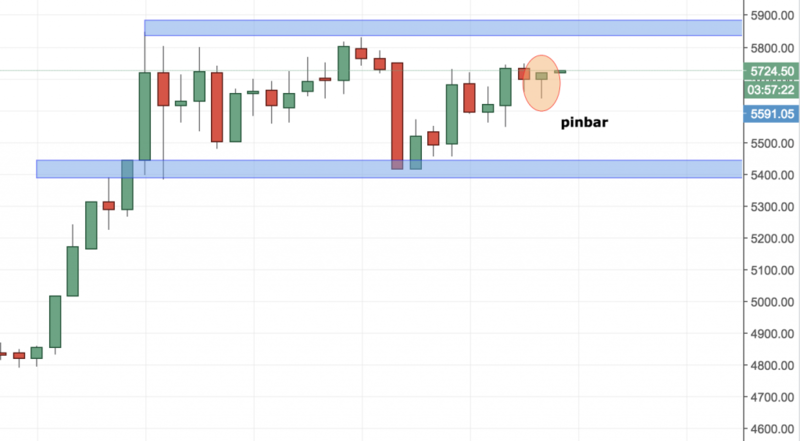 According to our trading strategy, there is an inside bar that formed on the daily chart today. It looks like more bulls are willing to take care of the BTCUSD direction. It looks like there is a pinbar that formed on the 4H chart. From here we might conclude that the possible scenarios look more bullish than bearish. I will be looking for further bullish confirmations and a possible long trade.